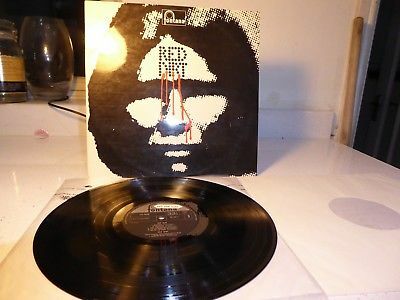 RED DIRT- RED DIRT ORIGINAL UK LP FACTORY SAMPLE NOT FOR SALE EX CON NO RES !!!! Original 1970 UK FIRST PRESSING. FACTORY SAMPLE NOT FOR SALE. THIS IS A TRUE PROG MONSTER AND RARE BEYOND BELIEF !!!! record which means it will be one of the very FIRST copies they ever pressed ! rare UK ORIGINAL of an alreadyimpossible record to locate. is given to press the STOCK COPIESto be sent out to the record shops for sale. What a great sleeve. A shot of a native American or REDSKIN crying tears of blood ! (I believe at the time they were given theracial slur and calledRED DIRTby the cowboys) . The none gate fold laminated sleeve is in EXCELLENT condition throughout. clearly. The original inner sleeve is here and also EXCELLENT. Side two the label also bare the factory sticker stating FACTORY SAMPLE NOT FOR SALE . from its paper inner sleeve over the last 48 years. crown of your collection ! RED DIRT by RED DIRT. FACTORY SAMPLE NOT FOR SALE !!!! PUSH THE BOAT OUT FOR THIS ONE. THIS IS A CRACKER !!!! !